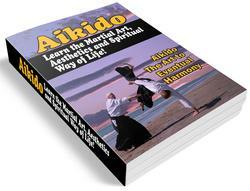 As in the two previous stances the feet should be two shoulders' widths apart. The feet themselves should be turned a little inwards, the knees forced outwards, so that the legs are rather like bows under tension. This involves a screwing tendency of the feet into the floor which is essential for the stability of the stance. It is equally important that the knees should be bent deeply, thus keeping the centre of gravity low. The weight of the body is carried evenly on both legs, all the muscles of which (along with those of the pelvis) should be tightened. 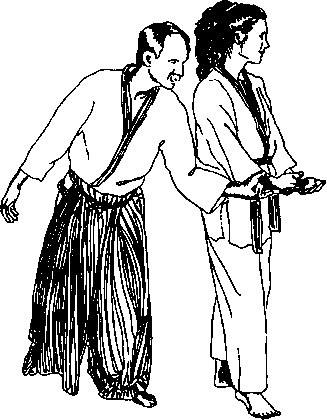 Sanchin-dachi (diagonal straddle stance). A stance equally strong to the sides and to the front - for attacking or defending.